Your Great Neck Plumber since 1972! If you’re looking for a plumber in Manhasset, look no further than Thomas Curley Plumbing and Heating – a Manhasset tradition since 1972! Family owned and operated, Curley Plumbing and Heating provides residential and commercial plumbing (and heating) services with an unsurpassed commitment to excellence, integrity and customer satisfaction – second to none! Founded by Thomas Curley, a Master Plumber, Thomas’s son John is now a partner in the family business. Together, Thomas and John lead a team of carefully selected and vetted technicians who fulfill ongoing plumbing training due to an ever-increasing amount of new products and methods. Each of our staff members at Curley must demonstrate patience, courtesy and an insatiable drive to learn the latest innovations in the industry for the benefit of our valued customers! · Drain Cleaning. If your drains need attention, Curley is the name to call. We’ll ensure that your toilet, sinks, showers, and bathtubs drain properly. Our repair services include leak repairs, replacement plumbing, and utilization of proper drain cleaning methods, such as hydro jetting to restore adequate water flow and prevent backup. · Faucets, Fixtures and Sinks. Is your faucet leaking? Do you need to replace a sink or fixture in the kitchen or bath? Get the professional help you need with your plumbers at Curley Plumbing and Heating. We’ll help you get your problem resolved in no time. Count on us for first-rate installation and repair services – with quality solutions guaranteed at prices you can afford! · Clogged toilets. Clogged toilets pose a great disturbance. It’s an unsightly issue that also results in still waste waters that may be hazardous to the health of the members of your household. At Curley Plumbing and Heating, our plumbing services offer solutions to all your toilet clog problems. Call us today and get your toilet clog solved by our highly qualified professionals. Trust us for superior toilet repair and installation services! · Sewer Mains. If you have problems with drains and clogged toilets in your home, it’s possible that your sewer line is blocked. There are a variety of reasons for sewer line blockages, and when a blockage does occur it causes the waste sewage to back up and can lead to overflow inside or outside your home. At Curley, our plumbers will identify the blockage and solve your blocked sewer line problem using a variety of state-of-the-art techniques. We’ll help you maintain the safety and comfort of your home, while ensuring that the problem does not lead to costly damage and repairs. You can count on Curley to handle all of your sewer line repair and replacement needs. · Water Mains. When an underground water line breaks underneath your property, you need a team of experts on the scene as quickly as possible to orchestrate a repair. That’s where Curley Plumbing and Heating comes in! As your premier, experienced plumbing company, we have the tools, skills, and experience to offer fast, accurate water line repair services when you need them the most. We cater to home and business owners alike – and our goal is to get your plumbing system in proper order as quickly and efficiently as possible. Whether you need a professional plumber for your home or business in Manhasset – for anything from routine drain cleaning and pipe installation – to a leaky shower or running toilet -Curley Plumbing and Heating is the name to trust! Our certified and highly-qualified plumbers are here to provide fast and honest service. 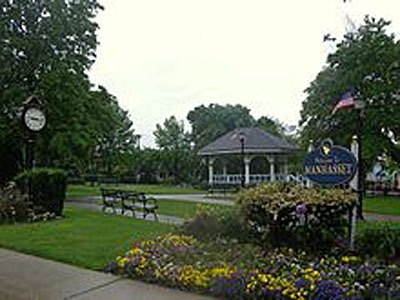 We’re your local plumbers in Manhasset for all your plumbing needs and solutions. Contact us today and discover why Curley Plumbing is a local tradition and your premier one stop shop for plumbing in Manhasset! You can always count on Curley! What to do when a pipe burst? We provide quality plumbing and heating service to both our residential and commercial customers Throughout Great Neck, Manhasset, Roslyn, Port Washington, Glen Cove, Brookville, Upper Brookville, Flower Hill, Munsey Park,Cold Spring Harbor, Lyodds Neck, And Entire Nassau & parts of Suffolk County.